The streets of Mumbai were clad in a sea of red yesterday. 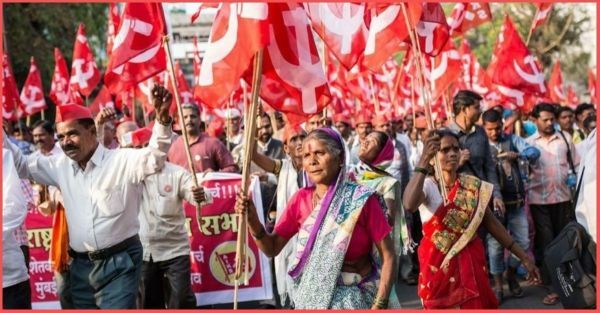 Thousands of farmers marched from Nashik to Mumbai, over six days, covering more than 180 kilometers to have their demands met by the state of Maharashtra. The farmers demanded complete loan waiver, fair pay, and transfer of adivasi land to farmers who have been tilling it for years. They also want to implement the Swaminathan Committee report, which says farmers should be paid one-and-a-half times the cost of production and the Minimum Support Price should be fixed keeping this in mind. Tribals and farmers joined the protest in large numbers along the way, and according to the organisers, their numbers increased from around 20,000 when they started six days ago to 50,000. Several parts of Maharashtra frequently face drought, and farmer suicides due to rural indebtedness has become agonizingly common over the years. By marching peacefully, for around 200 kilometers in the scorching sun, our farmers have set a brilliant example. There pleads have been heard loud and clear by the entire Nation. There are wonders that can be achieved without having to resort to violence of any kind. The kind citizens of Mumbai stood by the farmers and lent them their unwavering support by providing water and food to the protesters as they made their way to south Mumbai's Azad Maidan at 5 AM in the morning. Packets of biscuits, snacks, and water were pressed into tired hands. Many had come with boxes of footwear, moved by images of calloused, blistered and even bleeding feet. The initial plan by the farmers was to march onto Azad Maidan during the day, but they decided to march all night for a noble reason. They wanted to reach the grounds without causing rush-hour traffic jams and inconveniencing students heading out for their board exams during the day. Maharashtra chief minister, Devendra Fadnavis, said that his government had agreed to almost all the demands of the farmers who participated in the “long march”. “A meeting was held with farmers and Adivasi representatives in the Vidhan Bhavan (Legislative Complex). We have agreed to set up a committee to allot such land to Adivasis, provided they submit proof that they have been tilling it. The proof document should be from before 2005. We have accepted almost all their demands,” Fadnavis told reporters outside the state assembly, as reported by PTI. 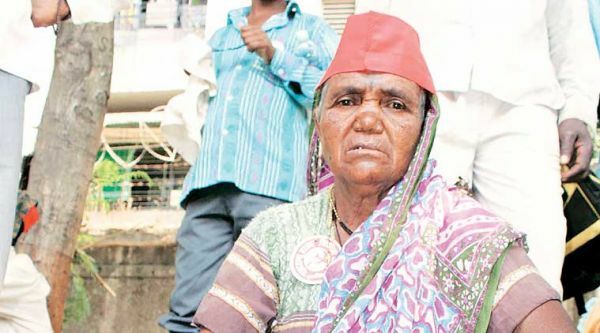 Radhabai Kisan Gagonde is a 65-year-old senior citizen from Dahivi village in Nashik, who is a member of the Kisan Sabha, and walked all the six days, seeking transfer of a one-acre plot of forest land that she has been tilling for two decades to her name. “I spent my entire life working in others’ fields. Now, I want the land to be transferred to our names, so that my grandchildren are able to get an education and have a better life,” said Radhabai, in a quote by a news publication. Watching our farmers take to the streets to silently protest for their cause, one can't help but be reminded of our very own father of the nation, Mahatma Gandhi, as he led Dandi Satyagraha - an act of nonviolent civil disobedience against the British in 1930. In an act that had a powerful effect on changing the world's attitude towards the sovereignty of our country, we gained our freedom and made history. And now thanks to our farmers, 2018 will also go down in history as another year of triumph for the people of the nation. 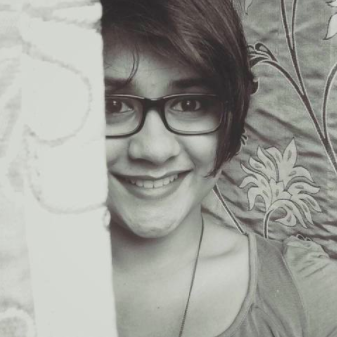 Be the change you wish to see in the world, indeed.